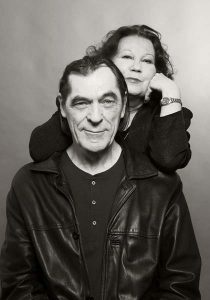 Monika Hielscher and Matthias Heeder have been making documentary films together for more than 20 years. Their primary focus is on investigative documentaries with strong story-telling; their body of work includes theatrical and TV docs for ARD, ZDF, ARTE and others. They are based in Hamburg, Germany. 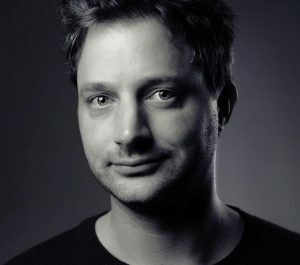 Sebastian Bäumler, born 1977, has worked as a cinematographer since his diploma from the Film Academy in Ludwigsburg in 2009. He is based in Munich and his focus is on documentary projects. He is a member of the German Film Academy and won the Deutsche Kamerapreis in 2007, the Kunstpreis für Film und Medienkunst of the Akademie der Künste in 2012 and the award for a masterful work of cinematography at the International Film Festival Listopad 2013 in Minsk. Christoph Senn, born 1969 in Wintherthur, Switzerland, ranks among the best and most versatile editors in Germany. He edits for film, TV and commercials in Europe and the US since 1996. He works on fictional and documentary projects and has a special talent when it comes to rhythm and music in film. He is based in Hamburg, Germany. 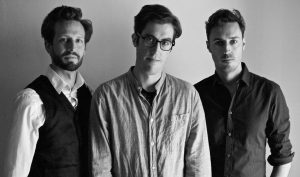 Paradox Paradise is a composers’ and producers’ collective, consisting of John Gürtler, Jan Miserre and Lars Voges. They specialize in authentic soundtracks and songs. They create emotional music and characteristic sounds with the use of live instruments. John Gürtler (*1981) has won multiple awards including “Best Song in a Film” in 2014. 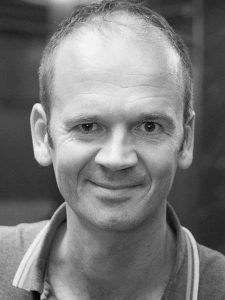 He has been associate lecturer for music and sound design at the Film Academy Ludwigsburg, the Media Academy Darmstadt and the HSD Düsseldorf for many years. Jan Miserre (*1981) has won the GEMA-Musikautorenpreis in 2013 in the category “New Talent” together with Torsten Goods, and also the second prize at the Instant Composing Contest at the Transatlantyk Film Festival. Lars Voges (*1975) has been touring around the world with multiple bands, among others in the renowned Royal Albert Hall in London. As a musical director he put together the backing band of The Baseballs that went on to take the European charts by storm and received various awards. He composes his own songs courtesy of Universal Music, composed scores for films and commercials and produced multiple albums spanning multiple genres. 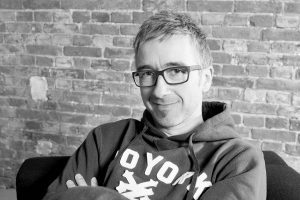 Stefan Kloos (*1968) is the managing director of both the documentary distribution company Rise And Shine World Sales and Kloos & Co. Medien, one of the most active German production companies for international co-productions for cinema and TV. Kloos is a Grimme Award-winner, a member of the German Film Academy and of the European Film Academy. He is a member of the European Documentary Network (EDN) and AG DOK and an alumni of the Documentary Campus Masterschool. He has a strong track record as a creative producer of international documentaries and regularly teaches and tutors internationally on documentary film production and distribution. Kloos´ producer´s credits include award-winning titles such as: Last Men in Aleppo, A Modern Man, Bugs, Transit Havana, You Drive Me Crazy, Away From All Suns, Walking Under Water, Holy Cow, The Other Chelsea, and others.